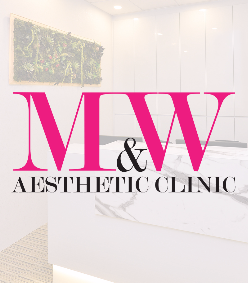 M&W is the brainchild of a group of doctors and aesthetic veterans who believe that beauty should be made available and affordable for every Man and Woman. We take pride in our investment in technology but what truly differentiate us are our skills and sharp acumen for beauty. That is why our doctors and nurses are specially recruited for their competence and keen eyes for beauty. They are also continuously trained to stay ahead in this fast evolving industry. We are therefore able to design own proprietary unique aesthetic programs that can be customized to suit and deliver the desired results for each patient. And we aim to do so with programs that are effective yet priced affordably so that no Man and Woman will ever be deprived of the desired beauty. Apart from being result-oriented, we also value the overall experience of our customers. Our clinics are tastefully designed to create a holistic ambience that many of our customers can easily identify and immediately feel at home. Our friendly doctors, nurses and clinic assistants will go the extra mile to make your experience with us a memorable one.